Located on the 17th floor with beautiful Gulf Front Views unit 1703 is fully furnished two bedroom/two bath condo with a large private balcony overlooking the Gulf of Mexico. It has King in the master bedroom,Queen size in the Guest bedroom and a sleeper sofa in the living room. 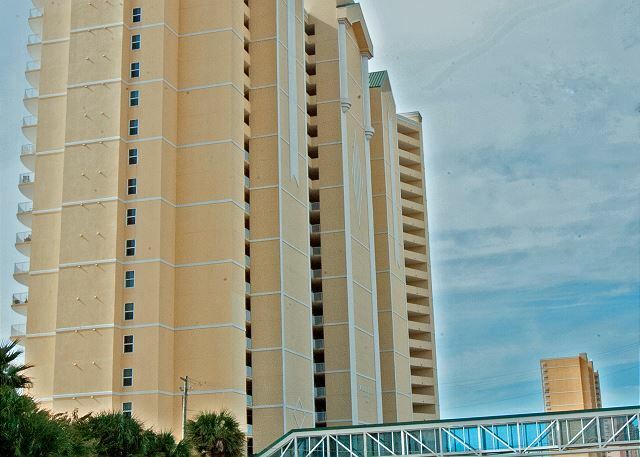 Emerald Isle Resort stands 23 stories tall with 199 fully furnished two bedroom/two bath units all with vast private balconies and overlooking the Gulf of Mexico. 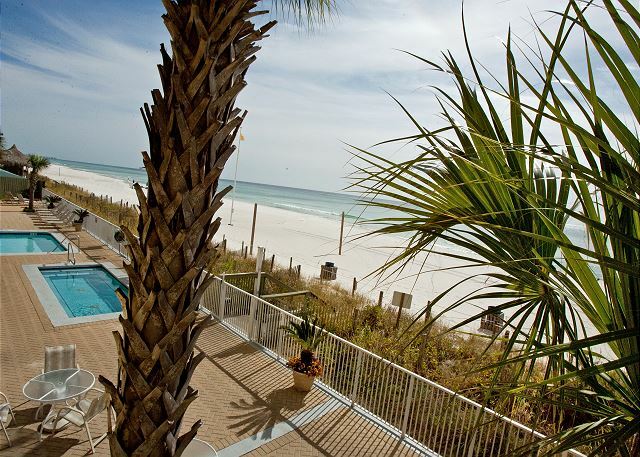 This luxury condominium sits on the west end of Panama City Beach providing peace of mind both in location and value. 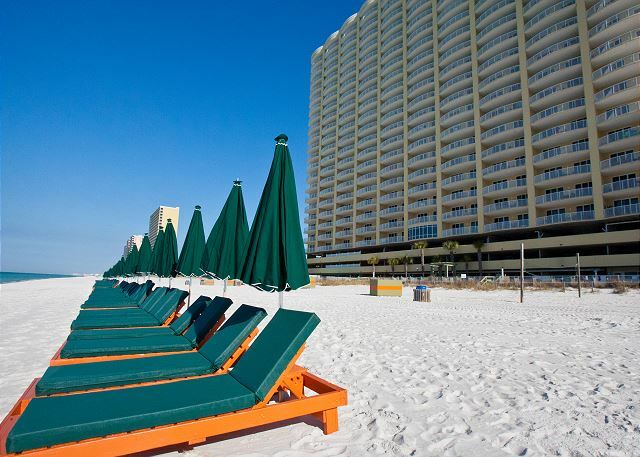 You'll find yourself away from the noise, but just moments away from the excitement and attractions along Panama City Beach, FL. Must have someone age 25 years of age in the condo. 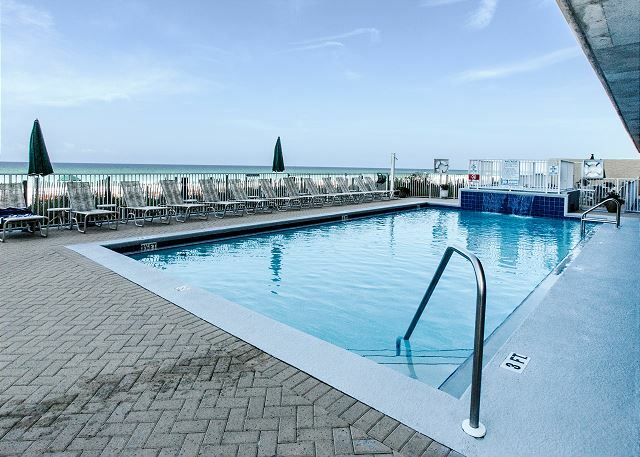 From the Emerald Isle beach front hot tub and two gulf front pools to a fitness center and pool-side steam room, it's all here. Families love to gather at the pool pavilion and cookout on one of the two stainless steel barbecue grills. 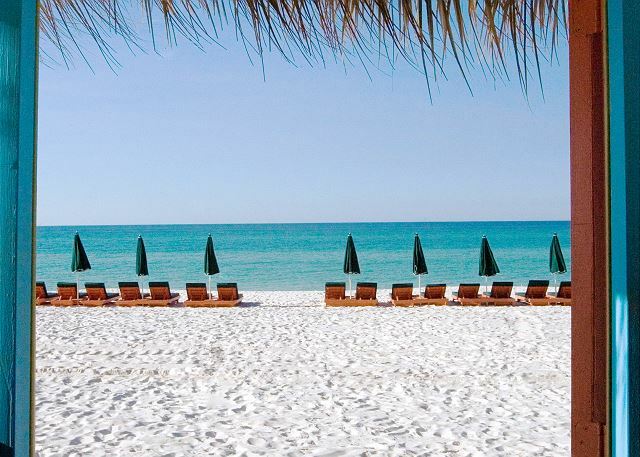 And of course, Emerald Isle Condo Rentals are right on the Gulf of Mexico. Great stay for the price! Our vacation experience with Blue Marlin was amazing! 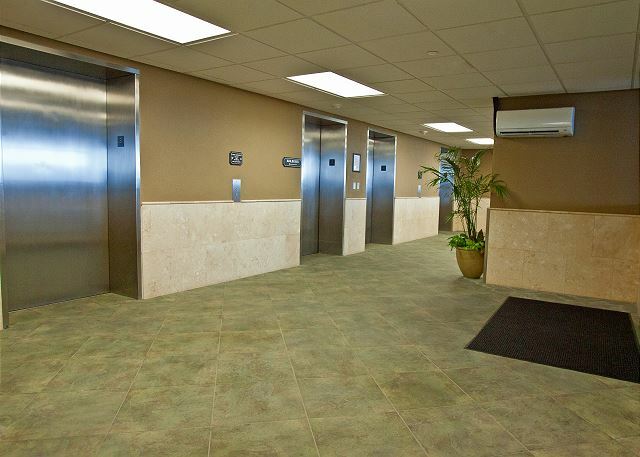 Unit 1703 was very clean, and was equipped with all those amenities that people with families need. It was most definitely a home away from home! We loved the view of the ocean from the 17th floor, and the deck’s furniture made it easy to spend countless hours just admiring the view. The worse part about our stay, and even this wasn’t terrible, is there wasn’t an assigned parking area for our unit, and we had to walk and park across the street which wasn’t that easy for our daughter who has lupus, because it required a lot of walking which was rough on her joints, but other than that, it was amazing! Stay with Blue Marlin, you will not regret it!!! We have stayed in Emerald Isle seven years now and love it. 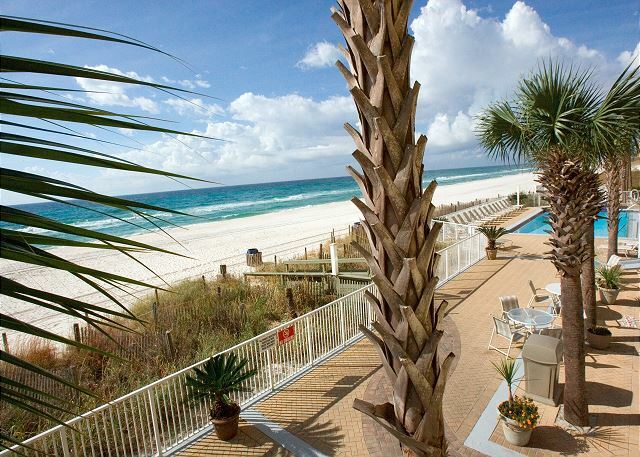 Love the location, (West end of PCB), love the spacious, well furnished, and beautifully decorated condo on the beach. There are lots of restaurants and shopping near by. The management and staff are very friendly and helpful. We hope to be back next winter. Everything was wonderful as always!! This was an annual sisters trip & as always we had a fantastic getaway! The condo was immaculate & the views from the 17th floor were breathtaking. We are already looking forward to next year. What a great unit - the pictures don't lie! The view from the balcony is great, and we made good use of the outdoor furniture. The beach chairs were a great perk - made it very comfortable to sit on the beach. The location is great - it was nice to be on the quiet end of the beach, and it never really felt crowded. Would definitely come back to stay in this unit - it had everything that we needed. The only thing I would change would be to upgrade the hair dryer that was in the master batch - it works, but has seen better days. Great place to stay! The condo was so comfortable and had a great view. I loved that my 2 teenage kids just wanted to sit out on the balcony all the time. Beaches were clean and the chair services on the beach were a great benefit. We could leave our towels on the chairs and come up to the condo to eat lunch and cool off when we wanted to. The area had plenty of stuff to do when it rained during our stay. The condo looked just as it was seen on the site. The decor and furniture were in tip top condition. I truly loved being on the 17 floor overlooking the ocean. Thank you Ada for your promptness! This was the perfect spot for our family vacation! I can not think of one thing wrong with this unit. 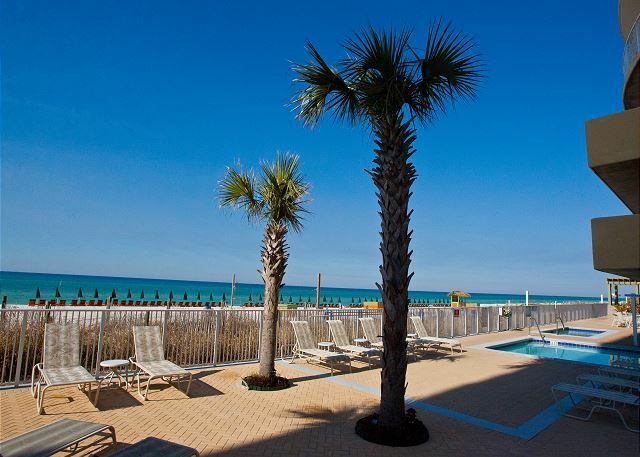 The beach view was amazing, the condo was clean, and the management staff was very helpful. 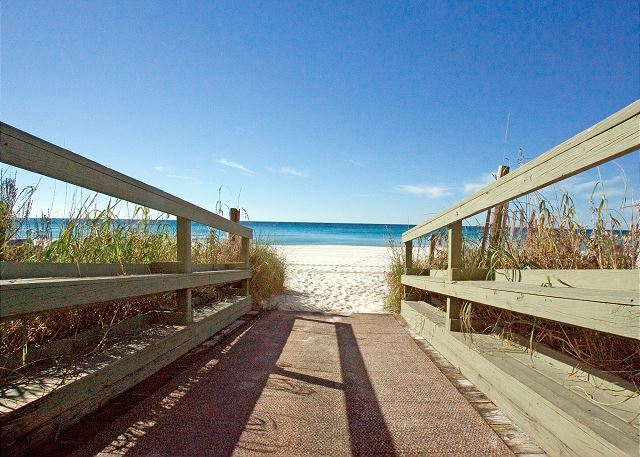 The location is close enough to be able to explore Panama City Beach, but far enough away to avoid the huge beach crowds. Despite being here during tropical storm Alberto, we had a wonderful stay. This was our third year staying at Emerald Isle. We’ve always been pleased with the units we rent. We stayed in unit 1703 this year, it is by far our favorite! Beautifully decorated, very clean, the best stocked kitchen we’ve ever had as far as good quality cookware & such. We received a gift from the owner, never had that happen before. The staff & office employees are very nice/helpful, especially the blonde lady (Dawn?) I’m sorry if that’s not right. Also, the location is great, it’s close to grocery store, Walmart, and Pier Park. A few of our favorite spots are, St. Andrews State Park, Thomas Doughnuts, & Triple J’s resturant. Thanks for a wonderful vacation! We will see you again. This was our second time to stay at Emerald Isle (different condos) and we have found the perfect getaway for our family. The facility and parking was clean and easy to access. The condos were clean, well maintained and nicely appointed. The balcony is different from others since they're curved and give an even bigger view of the gulf and beaches. Wifi was excellent and even reached the beach. Oh, and the restaurant (Mike"s) across the street has a good food selection and environment. We came to Panama City on our honeymoon. The apartment was beautifully decorated and we felt instantly at home. We arrived a little bit before check in time, but the staff was accommodating. We wanted to be on the beach, but away from the crowds, traffic, and hustle-bustle that often part of a vacation there. The location was quiet, but not isolated. 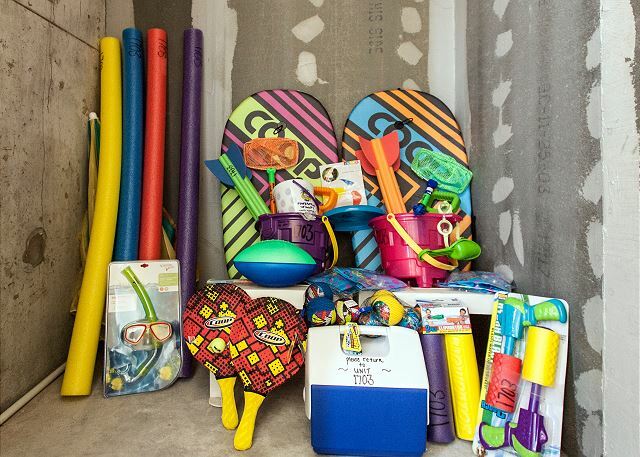 One of our favorite perks was being able to go to the beach without carrying chairs and umbrellas. We were amazed that they even came along to move the umbrella when the angle of the sun changed.